When in the market for side steps to put on your Grand Cherokee WK2 Aries has you covered. 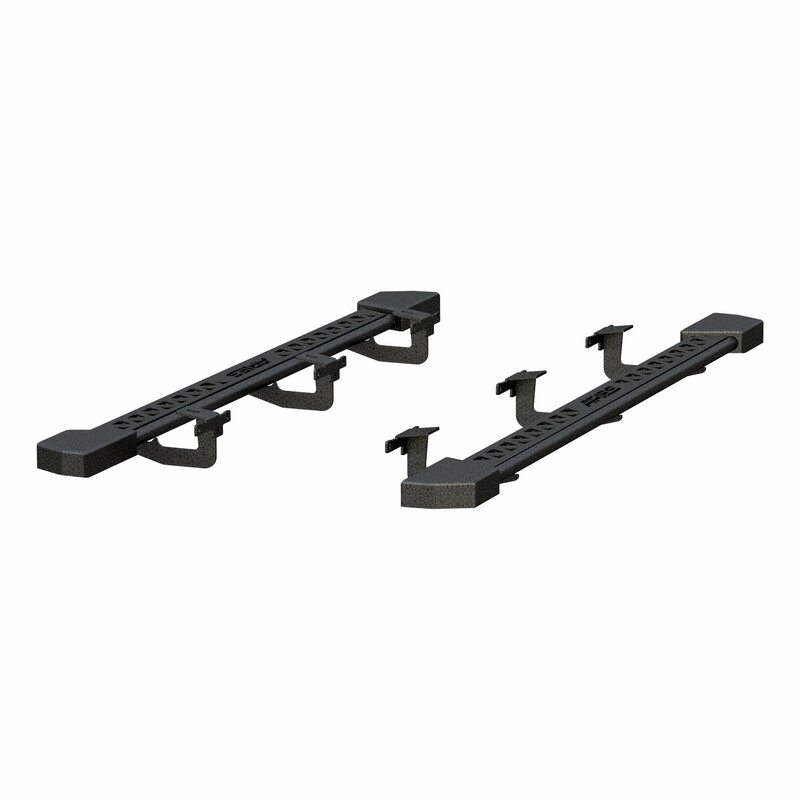 Adding a pair of Rocker Steps to your rig gives you an access point to get in and out of your Jeep plus their flat design will still maintain ground clearance for when your are out on the trails. Made from an all steel construction that is then finished with a textured black powder coat for added protection these side steps will stand up to outdoor debris. Dual Purpose: The flat 3" surface provides a solid step area to help get in and out of your Grand Cherokee WK2. These side steps mount high and tight to the side of your Jeep to give you rocker panel protection as well.